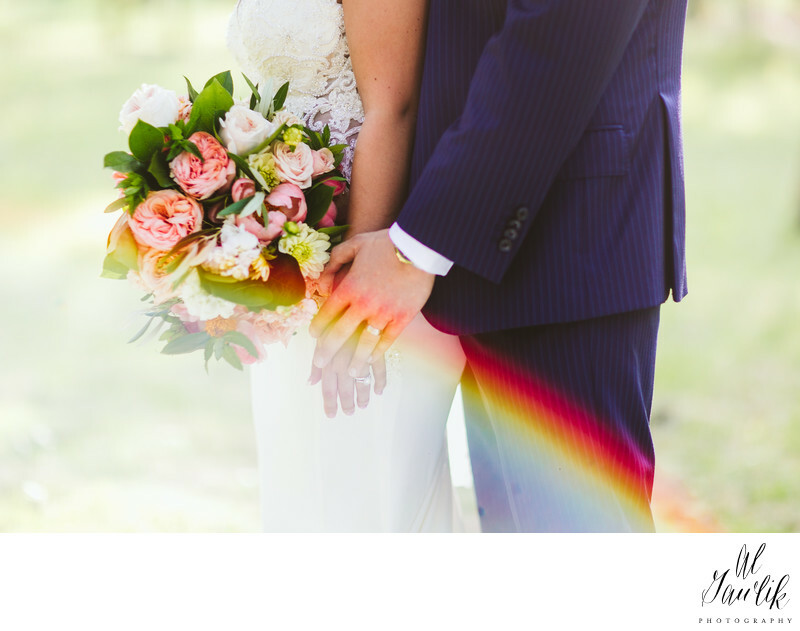 Texas Wedding Photographer captures a pot of gold rainbow surrounding the Bride and Groom on the day of their wedding. The flowers, the hands, and the vividness of the colors accent a special moment in this Wimberley, Texas wedding. A rare moment where all the important elements come together and are captured for eternity by a story telling photographer.